NOW SHIPPING TO THE CARIBBEAN WITH LOW RATES !! 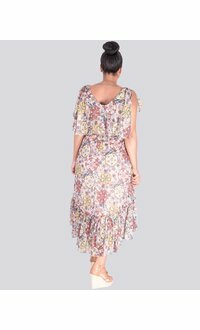 Get that retro floral vibe with the carefree flare for your next garden wedding or day time event. 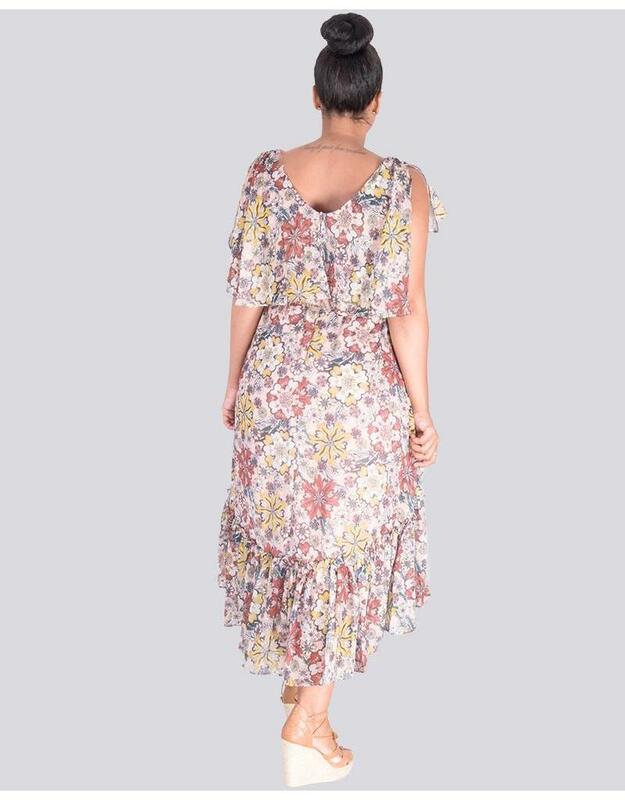 This dress features a v-neckline, solid shoulder cut outs with ruffle accents at the shoulders, fitted waist with a complimentary solid colour band, flared skirt with a high low hemline with the longer hemline ending just about mid-calf. Pair this dress with accessories from our collection to meet your event needs. Sign up for emails and get 5% off!